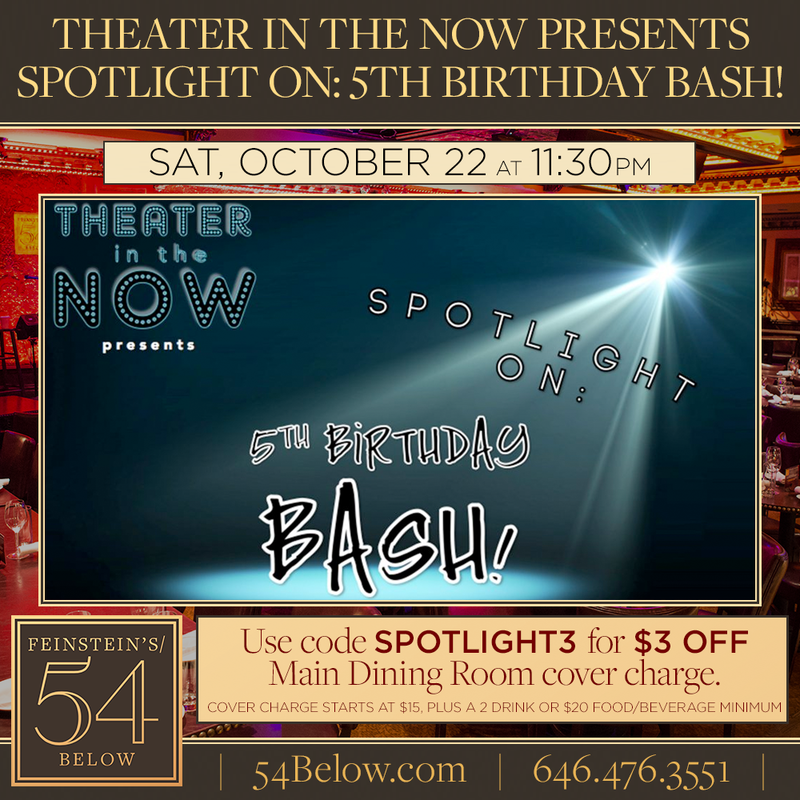 Theater in the Now: Theater in the Now at 54 Below! Theater in the Now at 54 Below! In case you haven't heard, we are celebrating 5 years of Theater in the Now with a birthday bash at 54 Below THIS SATURDAY! And we want you there. As loyal supporters of the website, here is an exclusive discount. Please show your support and get your tickets TODAY! Here is the direct link to purchase!